When used in such ways, I must admit the word network and its derivatives have often filled me with an uneasy sense of suspicion and painted pictures of corporate-style function rooms bustling with fake smiles and sycophantic charm offensives. However, changing job a couple of years ago, and taking on the role of coordinating languages across 40 schools with a network of over 100 Modern Foreign Languages (MFL) teachers, has given me a much greater appreciation of the word and helped me see first-hand the transformative power and importance of networks and the act of networking. My initial reservation around the term may simply be a language teacher’s inbuilt resistance to the “verbing of a language”. I still can’t bring myself “to action” something or “to network” but I’ve often “shouldered” the blame, “chaired” a meeting, “googled” and then “bookmarked” a webpage. The beauty of continual language evolution will clearly show up the linguistic hypocrisy in all of us. The word network itself has an interesting etymology and has wide-ranging associations from computer networks to neural networks (Long Term Potentiation (LTP) being highly relevant for language teachers) to the original net-like piece of work – the spider’s web. Setting the origin and usage of the word aside, I feel we need to be honest about the challenges currently facing language teaching in the UK today. Unfortunately, MFL currently shelters under an ominously dark cloud. GCSE uptake levels have plateaued just below the 50% mark in England over the last three years[i] despite the EBacc bump around 2012; A-level languages have seen a decline of “disastrous proportions”[ii]; MFL came out worst in Ofsted’s report Key Stage 3: the wasted years? in 2015 and we are in the midst of a teacher shortage of unprecedented proportions. For the very survival of our beloved and essential subject, it’s clear that something needs to be done, and collectively. Enter the importance of networks. More specifically in this context, a group of people who exchange information, ideas and contacts for educational advancement. These core ideas of collective endeavour, the sharing of best practice and continually striving to improve for the benefit of our students are indeed what drive my own educational philosophy and are perhaps the mechanisms that can breathe some life into MFL teaching. Adieu controlled assessment – I’m certain I could actually hear the collective sigh of relief at the beginning of May when MFL departments submitted their final batch of speaking and writing controlled assessments. One reason was no doubt the admin-intensive nature that has shackled teachers for years. At a deeper pedagogical level I feel that the rote learning that this method encourages has been highly damaging to our students’ language skills and contributed to many students’ disillusionment with the subject. Along with many colleagues, I consider the skills that the new GCSE exam specifications[iii] will foster, to be an extremely positive step. They aren’t perfect (is there such a thing?) and will have teething issues – I predict particularly around fixed tier entry, the complex range of assessment criteria and the possibility of teachers becoming overzealous in their teaching of translation. However, for me the new specifications still represent a huge shift in the right direction for developing more competent linguists and a richer curriculum. Hearing my students spontaneously describe an unseen picture, ask more questions, engage with poetry and discuss both the literal and best translations of something as simple as je m’appelle are all testaments to this welcome realignment. Such specification changes will, however, inevitably lead to extra work in terms of planning and resourcing curricula and lessons, particularly during the transition phase. It’s imperative we share the weight of this load as a network of subject professionals and don’t retreat off to our respective schools and classrooms and simultaneously set about individually reinventing the wheel. A Movement towards pragmatic, research-informed practice – Great strides have been made recently in helping to better bridge the world of academic research with the teaching profession and the infinite complexities of the day-to-day classroom. Tom Bennett‘s ResearchEd movement is a shining example of this, providing a forum for the dissemination of current, relevant research in a non-dogmatic way under the banner of “working out what works” (importantly distinct from “this is what works”). ResearchEd also cuts through and calls out much of the pervasive pseudoscience still present in our schools and teaching practice (goodbye learning styles and left-right brain myths). This year saw an excellent ResearchEd conference in Oxford specifically devoted to English and MFL. In a similar vein are The Learning Scientists, The Deans for Impact and the Chartered College for Teaching which are all working as effective conduits between sometimes dense and impenetrable research and the teaching profession. Increasing access to user-friendly digital technologies – Whilst I’m a self-confessed technophile and studied Computing Science at university level, I’m the first to admit technology is neither a panacea nor a replacement for established effective teaching methods. However, when used correctly, it undoubtedly has huge potential for improving teaching and learning, particularly in MFL. The 2016 Innovating Language Education: An NMC Horizon Project Strategic Brief abounds with concrete examples of real successes with computer assisted language learning. Conferences, such as the excellent, free ILILC (masterminded by the fabulous Joe Dale and Helen Myers) are full of ideas and hands-on practical sessions based on using tech in MFL. Digital equity is a real issue and an important consideration but, interestingly, it appears that students from poorer background are now just as likely to have access to mobile devices as their more affluent peers[iv]. Aside from using tech to teach languages and allow students to learn independently outside our generally meagre curriculum time, technology also provides the communication backbone for professional networks to discuss, share, organise, meet and ultimately thrive. Joe Dale’s MFLTwitterati list and Twitter hashtag is a prime example of this and has led to a dynamic grassroots network of MFL practitioners who are welcoming, supportive, positive and full to the brim with ideas, projects and resources. So, looking ahead there is clearly some bright light emerging at the end of the tunnel, provided we collectively seize upon the opportunities described. In my next post I’ll give my top five ways to make the most of Language Teaching Networks and I look forward to hearing your own suggestions in the comments. David works as a consultant and lead practitioner developing the MFL provision across the Harris Federation group of primary and secondary schools in London. He holds a PGCE in French from the Institute of Education and taught English in France and Maths/IT in Norway before teaching French in London. 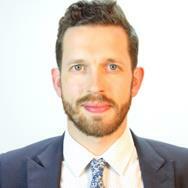 He has delivered PGCE, TeachFirst and School Direct MFL training and leads the Harris ITT MFL Programme. He is a member of ALL, National Association of Language Advisers, All Party Parliamentary Group for MFL, the Teaching Schools Council Language Pedagogy Review roundtable, the TeachFirst Expert Mentor Group and Kings College London’s MA in Education & Professional studies cohort. His main interests lie in technology, assessment and research-informed MFL practice.